POEM+MEDIA presents dynamic poetry expressible through media. This showcase ranges from pieces of poetry performed through media such as film and audio experiments, to poets using media as a form of poetry in itself. All are welcome to attend this exceptional evening. 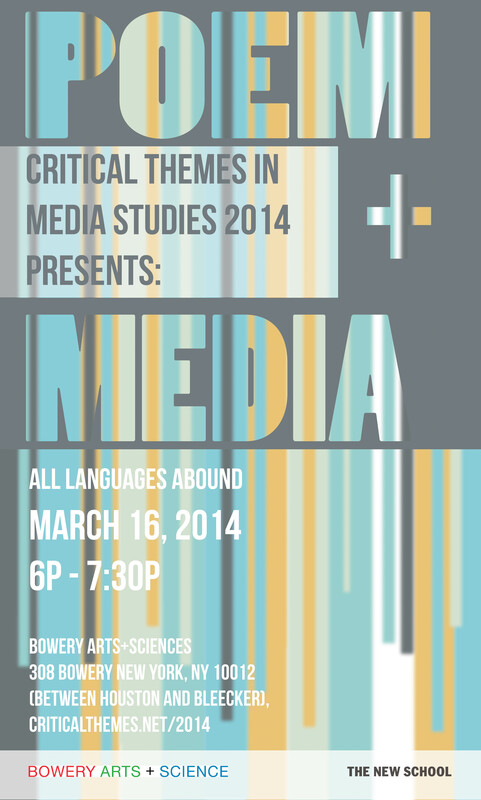 This event is a fundraiser for the 14th installment of Critical Themes in Media Studies Graduate Conference. $8 + TNS ID Limited tickets: purchase early.